It’s been a while since we last went to the cinema as a family. During the schoolyear, weekdays are out since the kids get home late, Saturdays were taken up by karate classes and Sundays were work days. 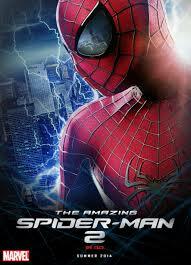 So we were so glad to have the chance to watch “The Amazing Spiderman 2” in the movie house together. Bong and I are determined to spend as much time as we possibly can with the kids while they still enjoy going with us. We had a lot of fun being together and watching the movie.